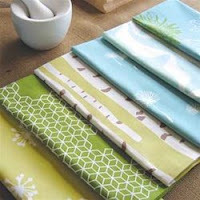 I'm having a serious love affair with these kitchen towels. I love changing up my room decor with simple things like this. $8.99 each, in a variety of delightful patterns, at grounded.